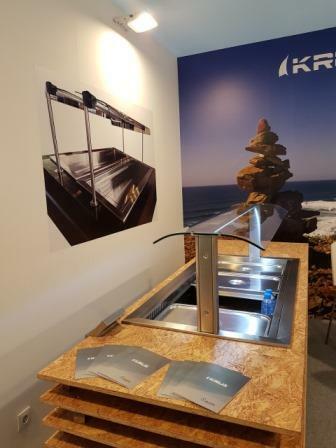 KRUX - AVEPA STAINLESS STEEL PRODUCTS, Hotels, bars, cafés and restaurants - machinery and equipment, Hotel furniture, Refrigerants, on EUROPAGES. Krux at Exposition Batimatec Alger 2017 Krux has been for the first time present at Batimatec in Alger 2017. We present our drop in refrigerated ventilated with a customizable top display. Thank you for your visit and the kind remarks to our products.